One of the things most adored about MacBook Pro was its build quality, high-end hardware, performance that came as a result of that high-end hardware and of course the extended battery life that would last you for a sizable chunk of your day. With the MacBook Pro 2016 family, you are not just expected to get all of these features, but more productivity will also be a part of that package. 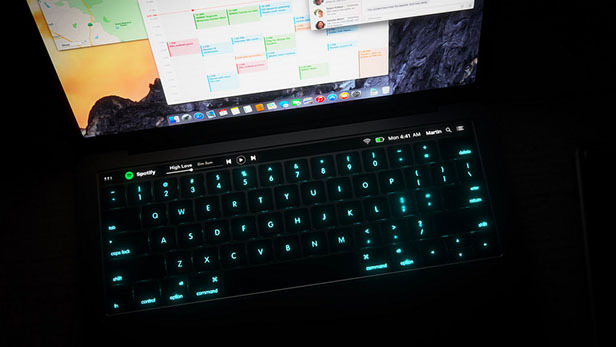 As you might have noticed, Apple’s MacBook Pro 2016 will feature an OLED display that is going to be present directly above the keyboard. 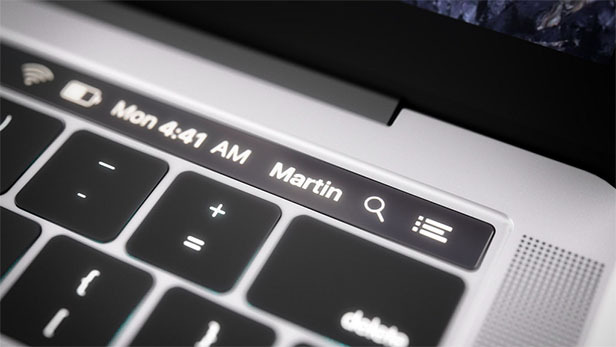 This display is going to replace the physical keys, and while that tactile feeling will be removed, a MacBook Pro 2016 concept has been made by Martin Hajek and it shows that the OLED panel will be able to run dedicated applications and users will be able to control that app from that thin OLED display. If such a function becomes truly possible, the Apple’s MacBook Pro 2016 model might also bring this level of functionality to other applications, thus ensuring tons of productivity without actually moving the notebook’s trackpad. One other thing that we noticed from these images is that the keys are much thinner compared to the previous generation notebooks, which suggests that the actual machine could be a lot thinner. 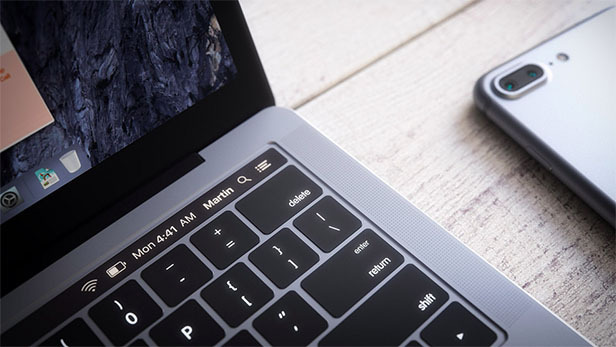 Apple has always enjoyed producing thinner products and with its 12-inch MacBook, the company did promise a lot of portability and battery life but sacrificed performance as well as providing nothing more than a single USB-C port and 3.5mm headphone jack. We expect that MacBook Pro 2016 will have more USB-C ports, along with other outputs to make it standout against the 12-inch MacBook. The new notebook lineup is also going to be outfitted with better performing Core i5 and Core i7 Intel Skylake processors and such chips will also promise better battery life in return.